The original post has an index of all downloadables, at this point I also took the opportunity to add more assets to this thread, such as my prefabs. I've extensively reviewed the majority of my assets and compiled them into an all-in-one package, without overlaps in terms of materials etc. This actually goes back to the beta of 2.05, but things started too late in the dev cycle to make it into 2.05. Edited by Dragofer, 17 December 2018 - 11:27 AM. Sorry for replying to such an old post, but I adore all the art assets you've done so far. 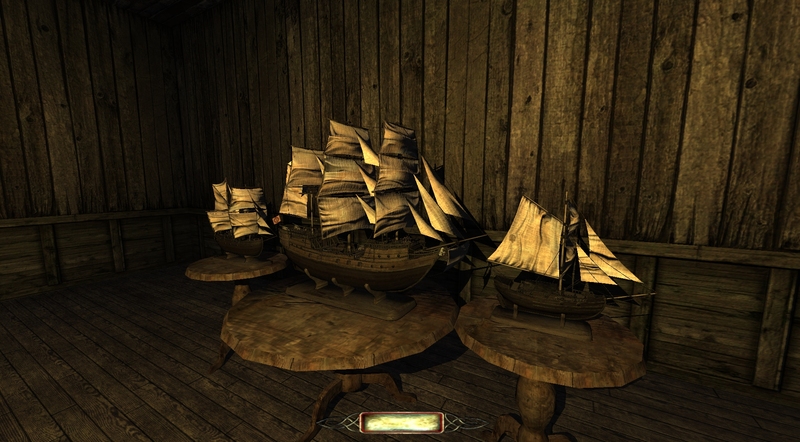 Concerning the ship models made by you and others, I had no idea we already have such great variety ! 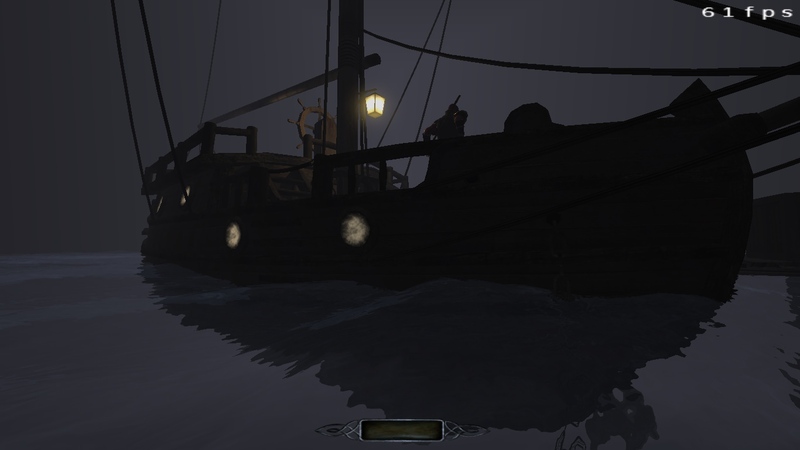 I knew about the airship and saw one or more type of boats in some missions, but I didn't bother digging deeper. I think there's just one type missing there to make it complete. A cog. 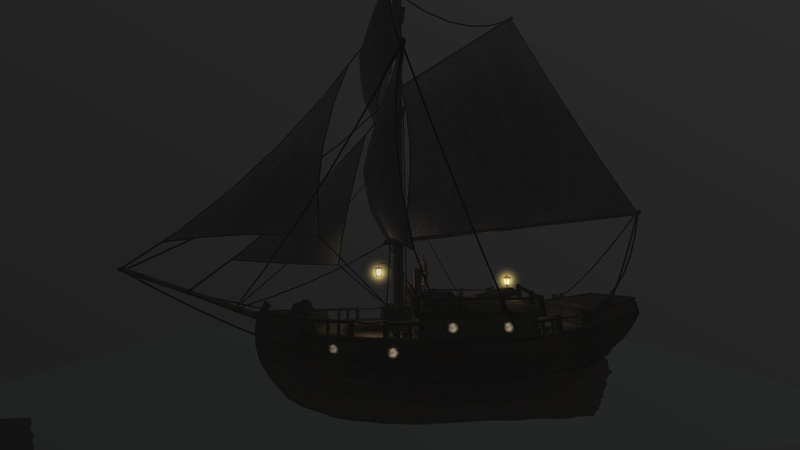 Granted, it would be more old-fashioned than a caravel or carack, but it would still fit TDM's setting. 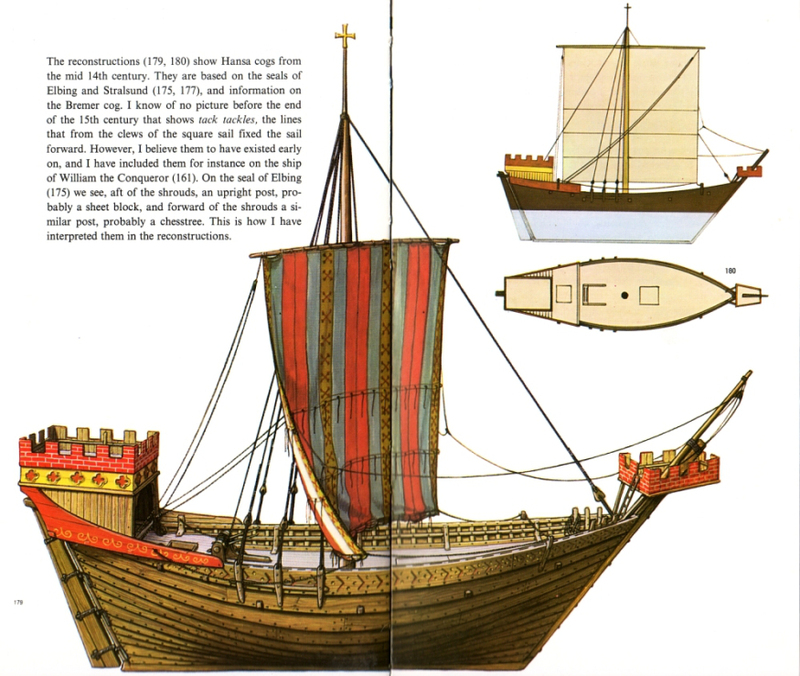 An old-fashioned trade ship from the northern ports of The Empire. Something in that vein. 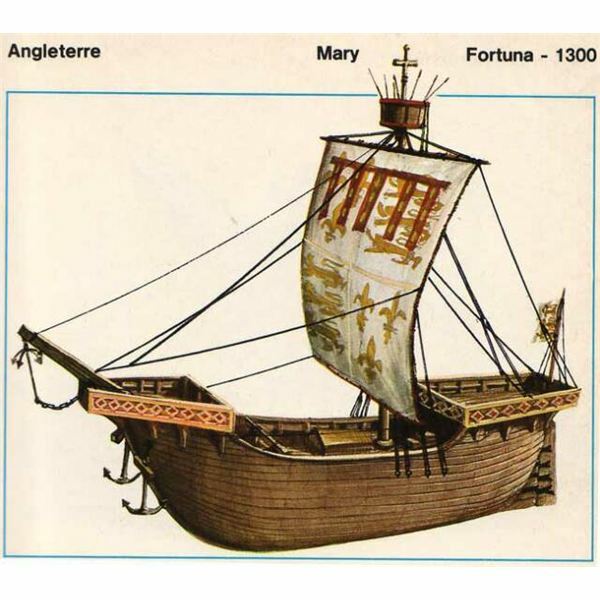 Having a small ship, not larger than the caravel, with a forecastle and an aftcastle, could make for a unique sight for players. Either way, the sheer number of ships already available for TDM is a pleasant surprise. Now I'll have to make an FM that takes place at the docks. Can't resist. Edited by Petike the Taffer, 18 April 2018 - 07:46 AM. It's been a while since my last ship, and a lot more work goes into them since I make them fully game-ready, with variants and scale models now, so this one took some time to bring to completion. So here's TDM's next ship, the yacht. As a one-master it's the smallest ship I've made so far, featuring a cabin and a small hold for supplies. This is a ship you'd mainly see in coastal waters or in canals, but I reckon it'd be sturdy enough to make a longer voyage across an ocean. Overall it's geared more towards personal transport than carrying large amounts of cargo. It's made in the same weathered style and to the same specifications as my previous ship, so again there's a moored, sailing, accessible and closed variant as well as an example interior furnishing for a total of 5 prefabs, as well as a 1:30 model. This goes together with a rework of the previously released ketch, which I've renamed to brig as it's a more suitable name for a ship of this size. Most notable is that I took advantage of DR's new exporter to recreate the scale model with more details, while at the same time trimming down to fewer tris than before, far fewer materials and making a better shadowmesh as well as a model stand. The lifesize version has also seen some improvements, such as new hull ladders and the use of shadowcaulk. - Both scale models exist as LOD entities. - The 1:30 scale model of the yacht comes in at 7000 tris at highest detail, of which 800 are shadowmesh. 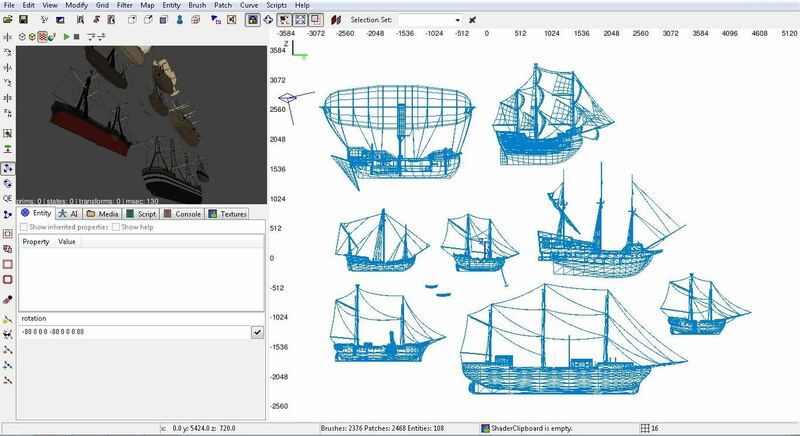 - The 1:30 model of the brig has 9000 tris at highest detail, the shadowmesh being 1100 tris. - Both scale models come in 2 variants: sails rolled up or unfurled. - The yacht's cabin is in fact quite spacious despite the small ship size, holding 2-4 bunks (6 if you're pushing it) and a couple small furniture pieces. - The yacht's hold can hold 20 different cargo pieces and still leave enough space to move around. - The moored variants of both ships now tether themselves to pier poles instead of bollards. I did actually block out several different ship hulls. 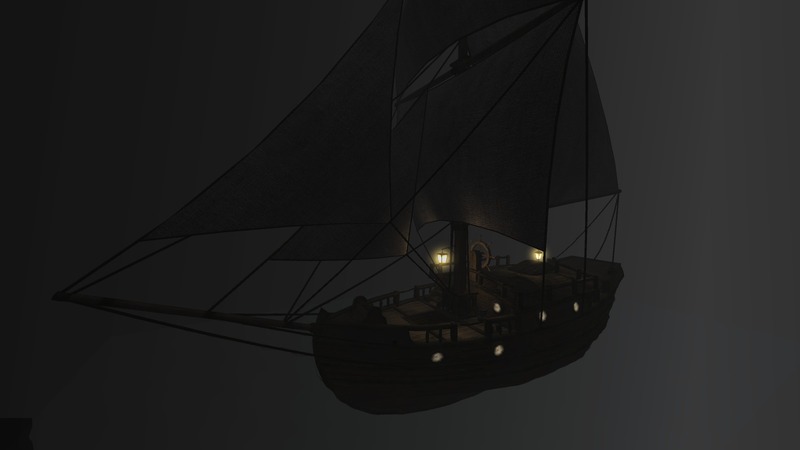 The cog wasn't easy to get to look proportionate because of the blackjack's ceiling height requirement, so I ended up turning that into an indiaman with 2+1 decks (80% the size of a galleon). In the end I felt most inspired to carry this one-master to completion, which is another niche that hasn't been filled yet in TDM's fleet. 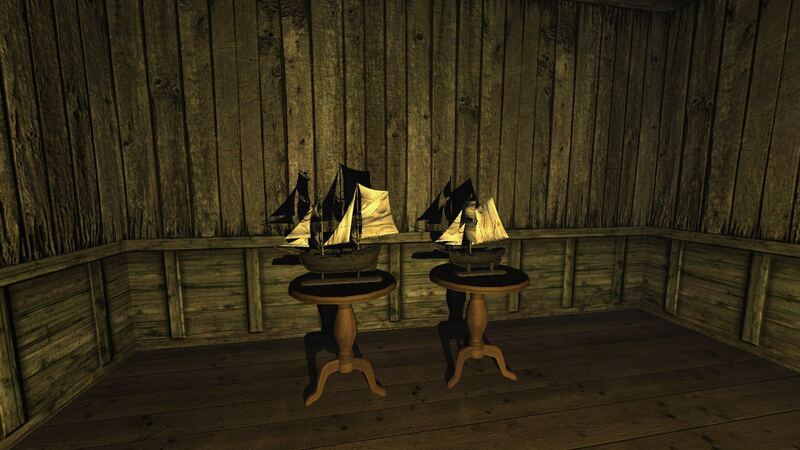 - Both ships, the brig (formerly ketch) and yacht, are now in the same download. - The test map can be started like a normal mission. - The prefabs do not need to be included in your mission. Nice. But the tris count seems a bit high for such a small model, isn't it?! 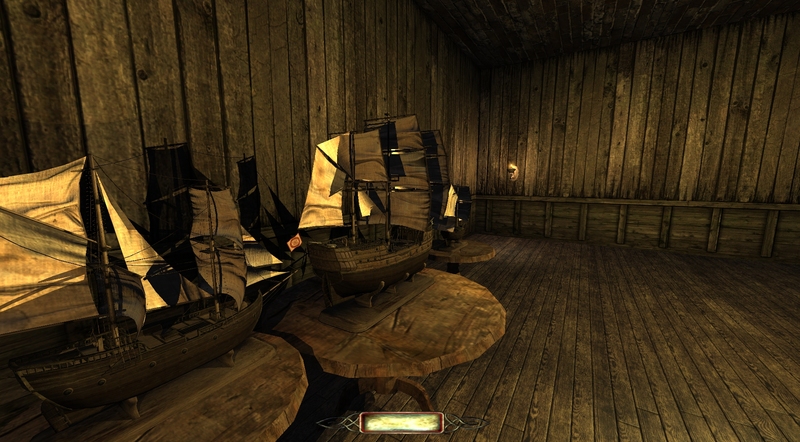 Edit: both ship models were trimmed down and given LOD stages down to 2000 tris. Edited by Dragofer, 30 May 2018 - 04:35 AM. Both ships, the brig (formerly ketch) and yacht, are now in the same download. The test map can be started like a normal DM mission. Very cool. Concerning the terminology for the exact type of ship, be mindful of the fact that the type of rigging it used often made all the difference. A ketch's typical rigging, a brig's typical rigging. A while back, I made a Model addons repository article for the wiki. It lists model addons by various other authors, and your stuff is included there. If you could update the opening post of this thread with links to the newest stuff you've made, that would be great. Mission makers could find it more easily. Edited by Petike the Taffer, 25 May 2018 - 04:06 PM. Mirror-like surface that'll even reflect the moon. This would be ideal for starry nights where the ships are at harbour. The surface does have a moving component so it can also be used for sailing scenarios. Choppy waves, ideal for sailing scenarios but can also be used for windy days at the harbour. Unfortunately it's incompatible with foglights, fog emitters are fine though. Notice how the animated waves roll past the hull. This is something I just assembled to emulate being lost in fog. The ship could crash into just about anything in this weather - if an author would like to start their mission this way. Besides a foglight in the world and skybox, I used tdm_dustfog particles for this. 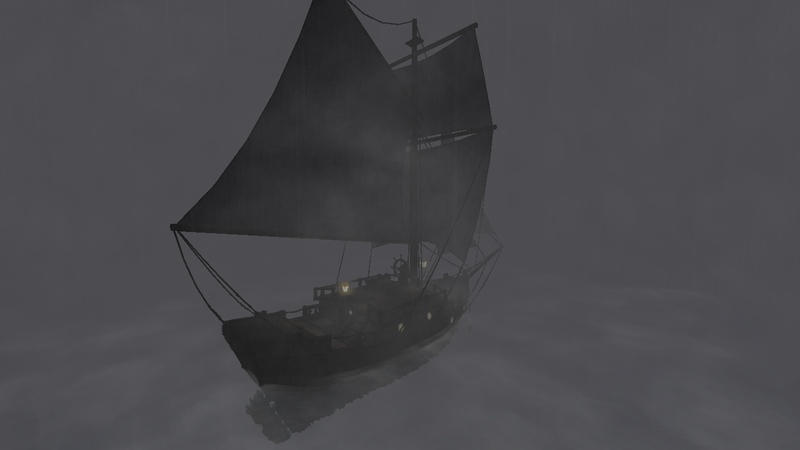 #1 for horizontal fog just above the surface, #3 for volumetric fog in several layers. I moved a few of the emitters inbetween layers to better conceal the layer arrangement. There's also some rain. Technically this uses Arcturus' second water, but the fog is so thick you can't see it. The downside to Arcturus' water is that it's made up of animated meshes, so it'll need some adaptation in Blender to fit around the ship. The second water works by using a normalmap for each of the 50 frames, so that one's something of a bulky asset of 40+ mb. And both were unfortunately left behind by the recent fix to stop objects over the water from being blurred. Edited by Dragofer, 30 May 2018 - 04:33 AM. That reminds me of the TDS mission with the Abysmal Gale. Nice. Edited by RPGista, 26 May 2018 - 07:08 PM. I had trouble with disappearing md3 water models as you can see in my video. Have you not experienced anything like that? My only issue was that the animated water was invisible from almost all angles when postprocessing was active, otherwise it worked flawlessly. Thanks very much RPGista, it's much appreciated. Now, there are already missions that fit your description: One Step Too Far, as well as mission 2 of Down by the Riverside by some counts, both by myself. Sorry, but did you mean these scenes are setup in the download files? If not, please share them, would be lovely to see this in someone's map one day. - the first water type starts to tear up when the surface is split up to fit around the ship (more specifically, when several surfaces are adjacent to each other). There's also some kind of distance limit, after which you get graphical artefacts similar to those you get with the shadows of models which have been downsized via the rotation spawnarg. - the second water type is a tiling animated mesh. Making some parts fit around the ship is going to take updating the skeleton and animations, so I'll have to finally sit down and learn how to handle animated meshes. - Shadowmeshes decay to half their original tris. The transitions happen at 120 and 250 units (reference: humans are 84 units tall). Edited by Dragofer, 30 May 2018 - 04:29 AM. Changing post processing in the menu doesn't seem to matter on my end. Does turning lantern on cause problems? Did you try swimming with lantern on? I just noticed btw that my md3 water tests don't work at all in x64 version. It would be nice to have some kind of vertex animation working. The second water is a tiling animated mesh. 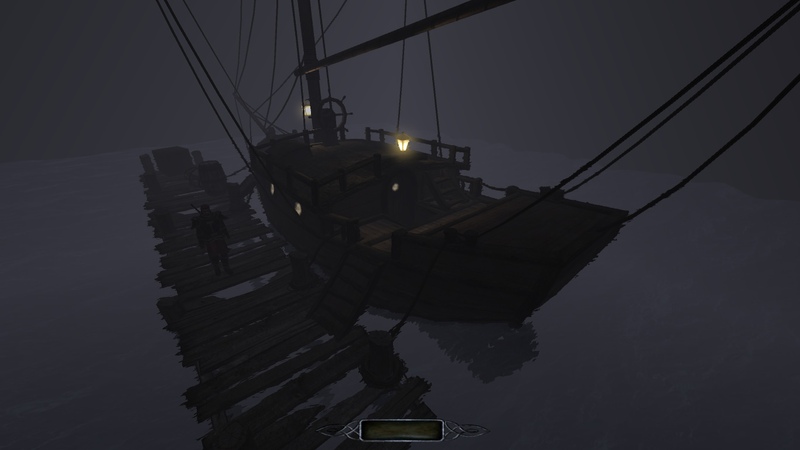 Making some parts fit around the ship is going to take updating the skeleton and animations. So I'll have to finally sit down and learn how to handle animated meshes. It's not animated by a skeleton. It's a md3 model where each frame is stored as separate meshes. Now the water is always working for me. 64bit, 32bit, lantern on/off, post-processing on/off. Maybe my problem was map-related? It might be useful to make a thread calling for people to test whether/when the water works on their end so we could track down if it's a specific card or setting that causes it. Because this water is worth it. This I can work with. But I've noticed there's no existing .md3 in stock TDM... maybe the format isn't reliable anymore since Doom? Edited by Dragofer, 27 May 2018 - 04:50 PM. As mentioned by rich_is_bored in this thread md3 format hasn't been really used much in Doom 3 engine. One drawback is there's no interpolation between frames like there is in skeletal animation. I set water in my example to be 30 fps so it looks a bit choppy. You can bind it to game's FPS which should be smoother but then you may need more frames in the md3 file. BTW did you increase resolution of real time reflection? Today marks the passing of a milestone in the creation of a new ship: the completion of the scale model of the merchantman. Usually I release my ships en bloc, but this is by far the most complex ship I've been working on for re-use by the community, so with Christmas in a few days I'll be taking that opportunity to make the scale model available already now. 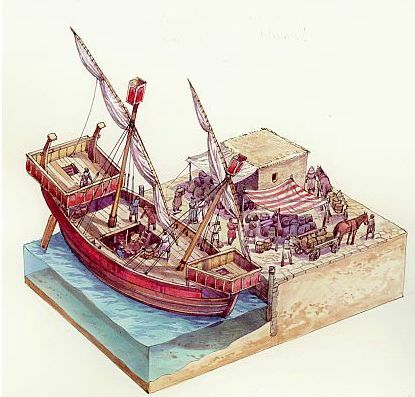 This is a large trading ship, though still smaller than a galleon, based on the colonial traders (indiamen) which dealt in the lucrative trade of exotic goods, required only a small crew and had quite some means to defend their cargo. Superficially it's similar to the more primitive carrack seen in One Step Too Far, but it's seen improvements at almost every turn, starting with the realistic hull shape, at the stern giving the captain and officers quarters well befitting their rank, at the bow holding up high a lion galion figure made by Arcturus, and its decks being covered with an excellent new floor texture by Judith. The ship also offers a good deal more space internally than did the carrack, allowing for example for a tract of cabins and a secure storeroom for the most valuable goods, with modules being available to refit the midsection as desired. Though I'll leave all the details of the interior until the life-size ship is ready for testing. - Made in DarkRadiant, then processed in Blender to make tris & materials savings, the shadowmesh etc. This still feels more intuitive to me as a ship is more map than model. - Three LOD stages: 19181 tris (of which 1752 shadowcasting) -> 12527 tris (1372)-> 8366 tris (1372). Switch to the second stage happens at about a pace away, third stage at several more. - The merchantman's scale model has been integrated with the existing 2 ships, the brig and yacht. Note that I've removed the variants of the scale models which had their sails rolled up, as in my opinion they didn't add so much value and, with 3 LOD stages each, the nautical models list was getting very full. Edited by Dragofer, 21 December 2018 - 10:46 AM. Holy cow! Looks amazing Dragofer! This looks impressive, indeed. Due to the sheer size and the tris count even on low stages it might be worthwhile splitting the model into several pieces. From how I've read it it sounds like it is only one big model. I am not sure this will be very good for performance if used in a mission where the size of the harbour as well as the level of detail fits the ship. @Obsttorte, you raise a valid point, it's a demanding asset but there are more than a few techniques available to make it perform. What comes to my mind now is, as you suggest, splitting up the ship into smaller pieces with 1 light each, then LOD for tris and shadows and, as Bikerdude showed on my other big ship, putting caulk walls into the masts for visportals. Also, there's certainly still more potential for tris savings. I think it should be reasonable from a perf viewpoint. Harbour-wise also smaller ports might see ships like these, as they occasionally made stops on their journeys to pick up fresh food and ale and maybe also replenish their crews. If the port was too small or the water too shallow they would lay at anchor some distance away, with rowing boats to travel inbetween. 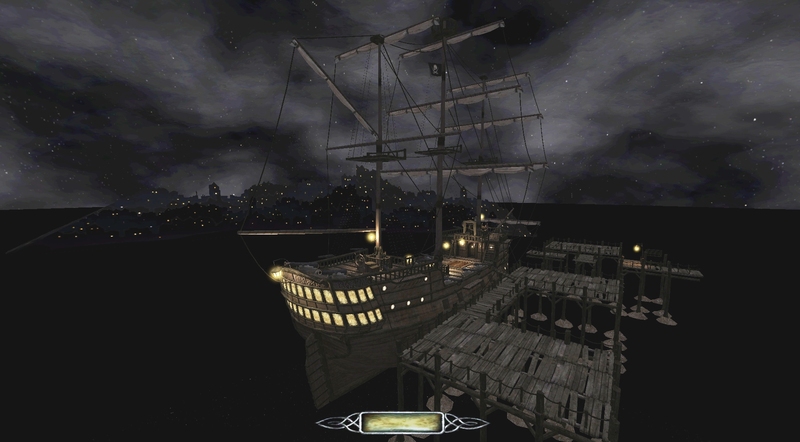 A player would find an anchor chain as well as hull ladders either side of the ship as ways to sneak onboard from his rowing boat in that case.